Elijah Christopher Straw died suddenly in a tragic car accident on May 1, 2012, at the age of 6. He was exactly one week away from his 7th birthday. 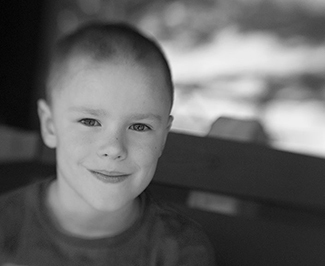 Almost from the moment of Elijah's sad passing, the Pennsylvania communities of Aspinwall, O'Hara, and Fox Chapel responded with love, care and support, which has been an incredible source of comfort and strength for the entire Straw family. Just one of the many kind deeds of these amazing friends and neighbors was the initial establishment of The Elijah Straw Memorial Fund. The fund's purpose is to "pay forward" into the greater Pittsburgh community in Elijah's name, especially to support the places, ideas, events and causes that were dearest to him. These principles, places and activities can be broadly summarized as empathy, friendship, science, parks, playgrounds and baseball.